Hannover 96 vs Stuttgart predictions for this weekend’s German Bundesliga. Andre Breitenreiter’s Hannover target their first win of the season against an out-of-sorts Stuttgart at the HDI Arena on Saturday. Read on for our free betting tips and match preview. Early season promise after draws against Werder Bremen and Borussia Dortmund has vanished as Hannover slipped to a fourth straight defeat last weekend. Not only was the 4-1 loss in Frankfurt a result that left Andre Breitenreiter’s mean deflated and demoralised, but it also came at the cost. Forward Niclas Fullkrug, who was the third highest scoring player in the Bundesliga last season, picked up an ankle injury in that match and is fighting against the clock to recover ahead of this crucial match against Stuttgart. Fortunately, should he not be fit in time, Hannover have ample back up in USMNT international Bobby Wood (on loan from Hamburg) and newcomer Henrik Weydandt. 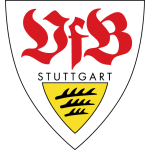 Stuttgart have a few problems of their own in terms of injury (see team news) but the Swabians should be more positive overall after securing their first competitive win of the season. A 2-1 victory at home to Werder Bremen last weekend, though tainted by an embarrassing mistake from goalkeeper Ron-Robert Zieler, pushed them off the foot of the Bundesliga table. And though Stuttgart no longer hold the record for worse offense in the Bundesliga – that title belongs to Schalke for now – coach Tayfun Korkut must have concerns about his attack. Stuttgart have scored goals in just two of their six league matches this season – the other being in the 3-3 draw against Freiburg – and they even overperformed in terms of expected goals (xG) in that game. So where does that leave us? Well, after looking over everything, we feel that backing over 2.5 goals looks the best bet for the following reasons: even though Hannover and Stuttgart have two of the weakest offences in the Bundesliga, averaging only around a goal per game each, their defences – or lack thereof – should be key to seeing this end high scoring. Hannover not only hold the joint worst defensive record in the Bundesliga – a total of 13 goals conceded – but they’ve also conceded 2 goals or more in each of their last four league outings, including against newly promoted Nurnberg. Stuttgart, meanwhile, have kept just one clean sheet themselves in six matches so far. And with Hannover and Stuttgart ranking in the bottom five for shots on target against them, both teams should have plenty of opportunities in front of goal. And what about a correct score? Stuttgart’s main struggles in the league last season came from their away form – in fact, Stuttgart lost in around 60% of their league matches on the road – and not much looks to have changed going into the 18/19 campaign (D1 L2) – only Schalke 04 have a worse away record than Stuttgart. Hannover, meanwhile, lost in just 6 of their 17 league outings at the HDI Arena last term (W8 D3 L6) and they’ve only lost to Bayern Munich and Hoffenheim there in their last five home outings (W2 D1 L2). And given Hannover’s recent head-to-head record against Stuttgart – the North Germans are unbeaten in five competitive outings against them (W3 D2) – we actually feel there’s value in the home side sneaking a win here. Our prediction: 2-1 Hannover. Hannover have won or drawn in thee of their last five Bundesliga home matches (W2 D1 L2), losing only to Bayern Munich and Hoffenheim. 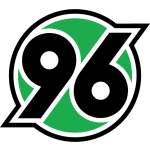 Over 2.5 goals were scored in 8 of Hannover’s 11 home outings in 2018. Hannover have the joint worst defensive record in the league – 13 goals conceded. Stuttgart are without a win in three matches on the road (D1 L2).